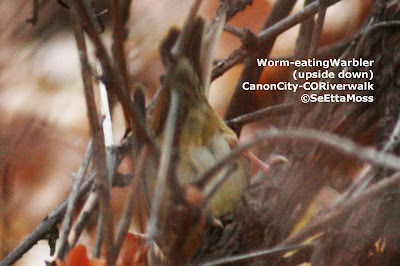 So this really is a pic of the Worm-eating Warbler though it is upside down and the view is of it's underparts. However, it is crisper than the other photo. This is the second part of the video of the Eagle Owl that shows it making the landing with it's claws fully extended to grasp it's food reward. 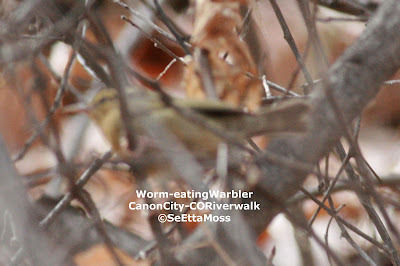 At the very end it opens it's beak wide as it is about to grab it. Awesome! 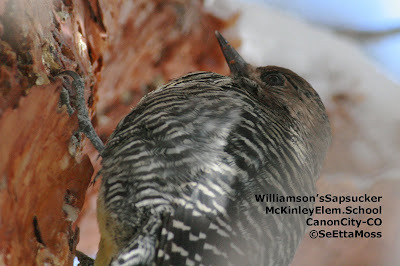 This is the female Williamson's Sapsucker I found last week working a pine tree in front of a local elementary school (please note that anytime one is going to do birding near a school they need to check into the office so the staff do not become alarmed and possibly call the police). I like the view of the feet and nails in the top pic, which also shows a little of the yellow colored belly found on these sapsuckers. 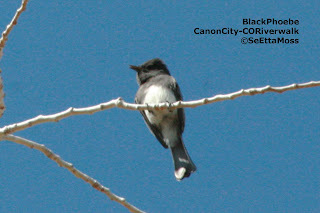 Every winter the Canon City, CO area hosts Yellow-bellied, Williamson's and sometimes Red-naped Sapsuckers that apparently find our mild climate hospitable and conducive for feeding on phloem, insects and sap in the many pine trees in the area. 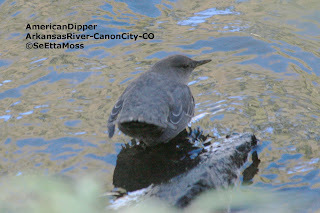 The 2010/2011 winter was a banner year as I found up to 23 sapsuckers just in the Canon City area plus several more in nearby Florence, CO. 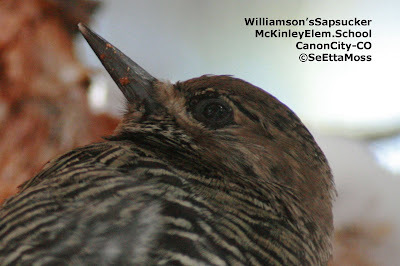 This female Yellow-bellied had evaded me since last week when I began finding a few fresh sap wells at the private residence where I photographed her today. 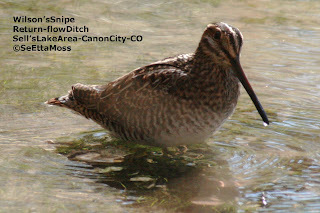 I caught a brief glimpse of her several days ago at another residence a few hundred feet east of where I found her today but she slipped off before I could tell anymore than that what I saw was a sapsucker by shape. 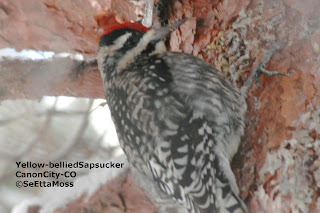 We got 5-6 inches of snow last night so late this morning she was still feeding away in a pine tree that had a lot of old sapsucker scars.